Our plumbers are the resident experts at general bathroom plumbing – we are very good at what we do. Should you have any problems with your bathrooms, whether it is a leaky sink or broken pipe, give us a call and we’ll be there to help you out quickly. Leaky showers – stopping those leaks! If what your require is non urgent, that’s absolutely fine with us as well – give us a call and we’ll hurry into your residence and fix those issues like drain and sink maintenance. 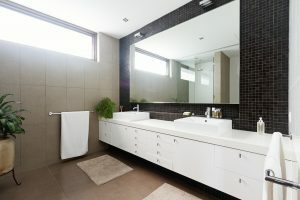 If you’re looking to renovate your bathroom and need some help installing sinks, basins and bathtubs, we recommend you get a professional in to do it for you – a botched job can ruin the renovation and cost you a lot of money in the long run. We are able to professionally install toilets for your brand new renovation or home really quick and easily. We can also run services like helping you install water tanks in your home. This is an option that will save you a lot of cost over the long run, as rain water is the freshest and cheapest water around! Call us today.